Because we are shipping from the United States and including the cost of shipping in your discounted price, we are only able to ship to U.S. addresses at this time. If you're out of the country, you can still join the online program, but for the book, check Amazon and / or bookstores in your area. The information in The 30-Day Vegan Challenge® (written, audio, and video) is true and complete to the best of our knowledge. 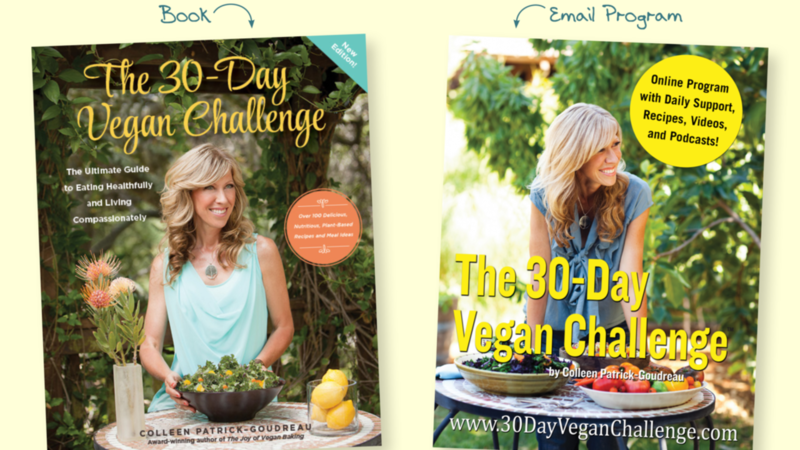 The 30-Day Vegan Challenge® is intended only as an informative guide for those wishing to know more about veganism (living healthfully and compassionately). The material is provided for informational and educational purposes only and is not to be used for medical advice, diagnosis or treatment. In no way is this program intended to replace, countermand, or conflict with the advice given to you by your own physician or any medical practitioner.